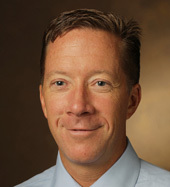 Vanderbilt University Medical Center, through the Institute for Medicine and Public Health (IMPH), Center for Health Services Research and the Department of Emergency Medicine, has established a new Center for Emergency Care Research and Innovation (CERI) to help determine the best care for patients who experience trauma or require emergency services — even before they get to the hospital. Which patients who suffer out-of-hospital cardiac arrest should be rushed directly to the catheterization lab, bypassing the emergency department? What is the best way to respond to an opioid overdose? Can the emergency department help identify and rapidly respond to outbreaks of infectious diseases like influenza? Collaborations of clinical investigators throughout the Medical Center already are pursuing answers to these questions, among many others. CERI’s goal is to provide the infrastructure and resources to grow these collaborations and to recruit and to develop junior and mid-career investigators and research staff. “You need to have a motivated, talented investigator to drive these research agendas forward and satisfy these critical unmet needs, but you (also) have to have the resources,” said Collins, who is professor and vice chair for Research in the Department of Emergency Medicine. CERI emerged from discussions Collins and two colleagues in Emergency Medicine, Alan Storrow, MD, and Wesley Self, MD, MPH, had with Robert Dittus, MD, MPH, Executive Vice President for Public Health and Health Care and director of the IMPH, and Russell Rothman, MD, MPP, VUMC’s Vice President for Population Health Research and director of the Center for Health Services Research. CERI becomes one of 20 research centers supported by the Center for Health Services Research in the IMPH. Establishment of CERI as part of the IMPH was strongly supported by Jeff Balser, MD, PhD, President and CEO of VUMC and Dean of the Vanderbilt University School of Medicine, and by Corey Slovis, MD, chair of the Department of Emergency Medicine. Brittany Jackson is the center’s administrative director. Karen Miller, director of Clinical Operations, has helped build a “phenomenal team” of study coordinators and assistants, Collins added. Collins went to medical school at the University of Wisconsin, completed his residency training at the University of Cincinnati and earned his master’s degree in epidemiology from the Harvard School of Public Health. He was on the faculty at the University of Cincinnati before coming to Vanderbilt in 2011 as an associate professor of Emergency Medicine. The primary focus of his research is acute heart failure. CERI is expanding existing collaborations between investigators in the Division of Emergency Medicine Research, the Division of Trauma and Surgical Critical Care, the Division of Allergy, Pulmonary and Critical Care Medicine, and other groups in the Departments of Medicine, Pediatrics, Biostatistics and Health Policy. “We have the opportunity to really engage the patient in the first three to six hours (in the emergency department) and identify opportunities for improving patient care,” Collins said. “And then, since we have such strong collaborations with our inpatient colleagues, it’s a natural transition — they not only assume the care but also help with that portion of the research. “By working with our colleagues across the Medical Center, it’s good — both for providing and improving patient care,” he said.